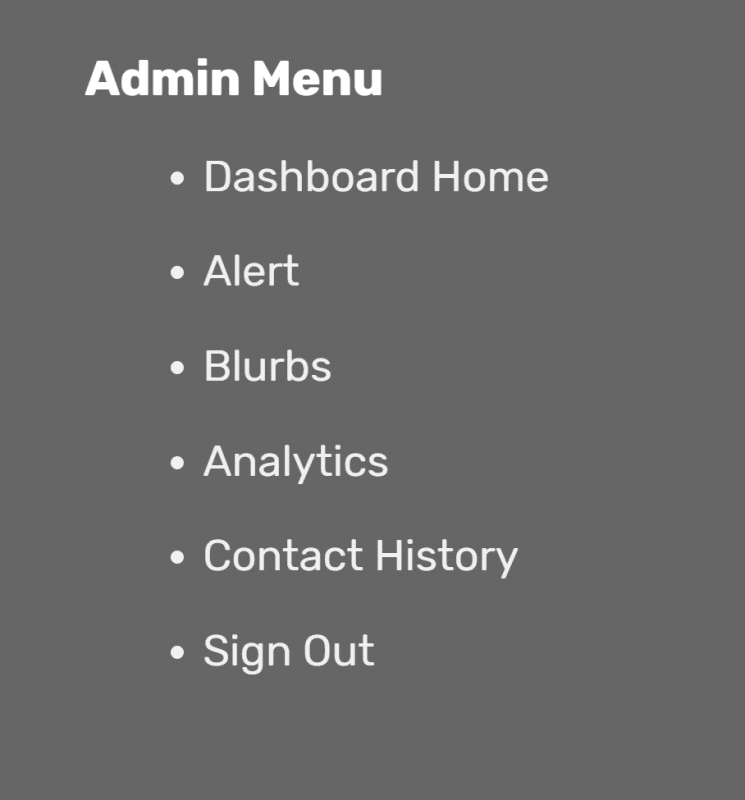 Included with every website is your very own Admin Portal. Here you will find special access tools and reporting on how your website is performing. This feature is a BowlRx website exclusive! Want to throw something up on your website quick? Maybe a weather alert, holiday hours, or special announcement? Go to ALERTS and enter the info you want to display, pick a color for the alert and how long you want it to be up on the website. Simple – Fast – Effective. All of our websites include content management, but you may want access to a page where you can make same-day edits. Maybe high scores, daily specials, etc. Send us the content you want to start with, and we will set up a quick access Blurb for you. Go to BLURBS and you will be able to edit the content right there – even from your mobile! You get easy access to see how many visitors your website is receiving, along with where those visitors came from, and what pages they go to most often. We include custom forms so it is easy for your customers to contact you for parties and leagues. Your Admin Portal includes EVERY form filled out on your website AND tells you if a response has been sent. An easy and quick way to keep tabs on requests to spend money at your place!